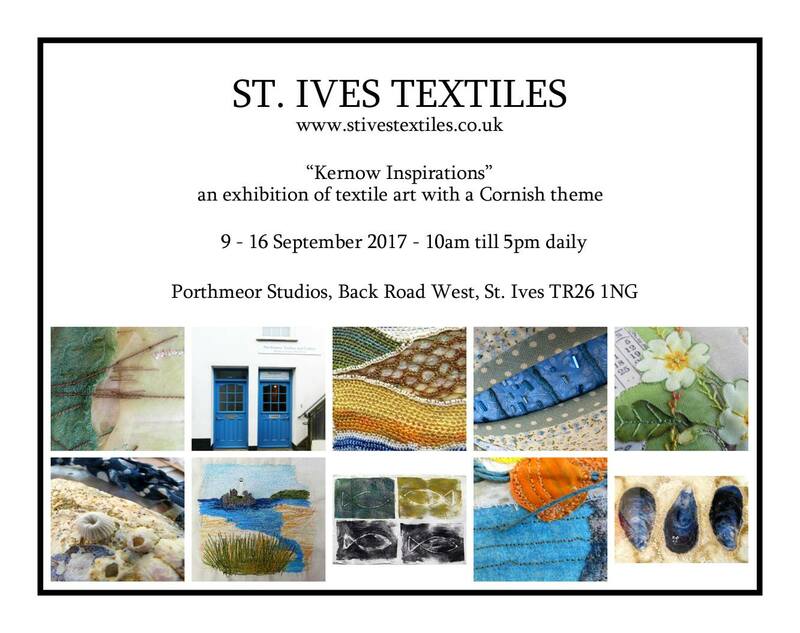 Due to unforeseen circumstances, St Ives Textiles have had to cancel their September exhibition at Porthmeor Studios. They are sorry for any disappointment, but will keep you up to date with further news as and when they can. St Ives Textiles is a group of 8 textile artists who meet regularly at Porthmeor Studios. They experiment with themes, media, materials and techniques to produce original textile art. During St Ives September Festival 2017 they will be exhibiting their work. 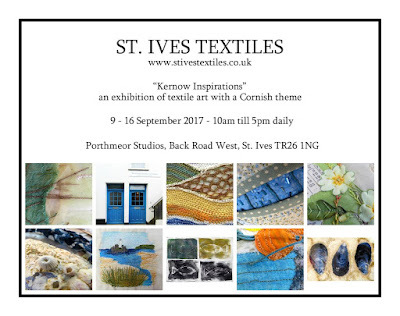 An exhibition of textile art with a Cornish theme. Saturday 9th to Saturday 16th September 2017. 10.00 am to 5.00 pm daily. Porthmeor Studios, Back Road West, St Ives. Free entry - one and all welcome. Come along to meet the artists and to view some beautiful original textile art inspired by the Cornish landscape.